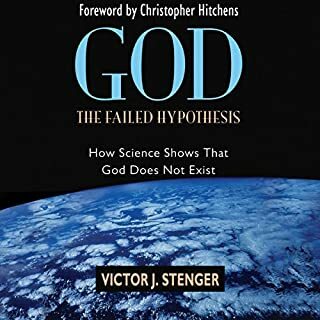 Throughout history, arguments for and against the existence of God have been largely confined to philosophy and theology, while science has sat on the sidelines. Despite the fact that science has revolutionized every aspect of human life and greatly clarified our understanding of the world, somehow the notion has arisen that it has nothing to say about the possibility of a supreme being, which much of humanity worships as the source of all reality. Can't get enuf scientific facts! A wonderful collection of terrific arguments. Clear, concise, fast moving and never boring. I'll have to listen to it a few more times through in an attempt to retain the valuable details. Religious fundamentalists and biblical literalists present any number of arguments that attempt to disprove evolution. Those with a sympathetic ear often fail to critically examine these creationist claims, leading to an ill-informed public and, perhaps more troubling, ill-advised public policy. 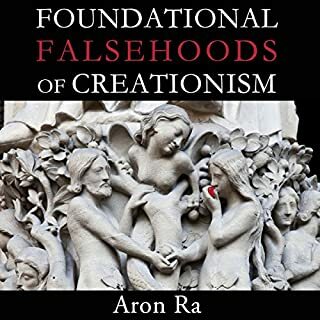 As Aron Ra makes clear, however, every single argument deployed by creationists in their attacks on evolution is founded on fundamental scientific, religious, and historical falsehoods - all of them. A terrific set of arguments for reality! A terrific set of arguments for reality! Aron crushes all the nonsensical creationism ideas simply and concisely. A great listen for anyone interested in pursuing the reality of this world.